New Sale A Bration goodies added, available March 15th! 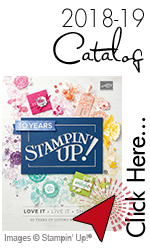 , Stampin' Up! Some brand new items were added as Sale A Bration specials today! You need to be sure to use the order numbers on the form above to take advantage though, so please feel free to ask if you have a question. All $50 orders receive one FREE SAB item and $100 orders receive two or there is also a new $100 tier this year as well. You can also seeing adding with orders above those amounts and there is no limit to your freebie possibilities.